Americans are traveling internationally more than ever, the U.S. Commerce Department says. In 2015, Americans took 74 million trips abroad. That is a nine percent increase from 2014. It is also the highest number ever. The information was released in a recent Commerce Department report. The department said the countries that U.S. residents visited most often last year were Mexico and Canada – America's neighbors. The third-most popular destination was the United Kingdom. The Dominican Republic and France were the fourth- and fifth-most popular places to visit. France, Spain, and Mexico had the biggest increases in American visitors in 2015, the Commerce Department report says. Vietnam is also growing in popularity among American travelers. More than 330,000 Americans visited Vietnam in 2015. That is a 33 percent increase from 2014. Vietnam is especially popular among travelers between 18 and 35, or millennials, says Kim Sykes. She is with Carefree Vacations. She recently spoke with VOA Learning English. "Vietnam is a popular destination among millennials because it is off-the-beaten- path travel that offers an authentic experience and also provides a lot of bang for the buck," she said. By "bang for your buck," she means a good value. Sykes also said river cruise lines recently started operations in Vietnam and Cambodia. They are popular among older travelers, she said. 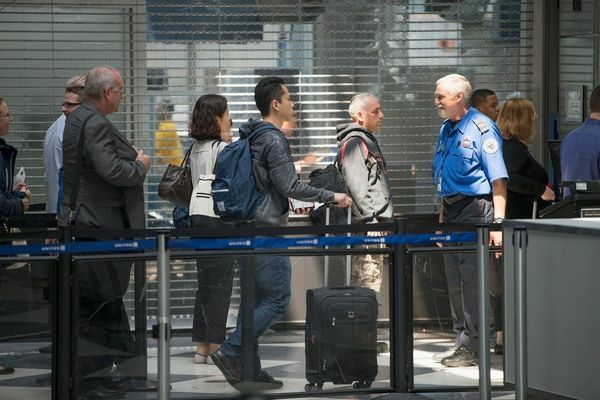 The International Air Transport Association said travel has been increasing in recent months, after a decrease following terrorist attacks earlier this year in Belgium, Turkey and France. International air traffic was 7 percent higher in September 2016 compared to September 2015. That is the largest year-on-year increase in seven months, the association reported. "Importantly, this rebound from August weakness suggests that travel demand is showing its resilience in the aftermath of terror attacks," said Alexandre de Juniac, the association's top official. She had made their childhood so joyous and carefree. Let's try to find some place that's off the beaten path. I made a huge profit on my company, and my friend also got a bang for the buck. The merchandise is reasonably priced and offers exceptionally good value. 1.The International Air Transport Association said travel has been increasing in recent months, after a decrease following terrorist attacks earlier this year in Belgium, Turkey and France. I think some people in this place have a connection with the terrorist attacks. He masterminded a number of brutal terrorist attacks. 2.International air traffic was 7 percent higher in September 2016 compared to September 2015. They have to wait for clearance from air traffic control.